The best performing brands of the year thus far are (in order on our Zavy scoreboard) as follows. 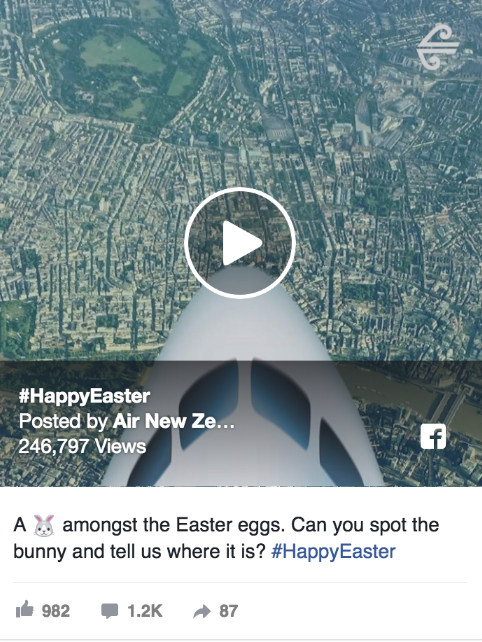 Air New Zealand have shown their strength this year in social media, particularly on Facebook. 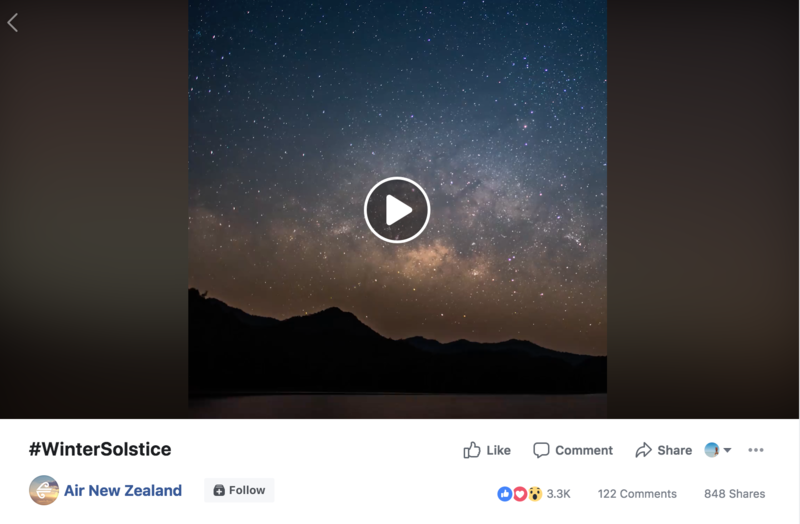 These included one #AirNZShareMe post, which collected 9,674 likes, 115 comments, and 340 shares, with the last post (a video focused on Matariki), scooping up 3,358 likes, 106 comments, and 848 shares. All in all, a very solid performance from one of New Zealand's biggest brands. We can see that McDonald's NZ and Air New Zealand are leading the way with engagement levels significantly high. However, we are going to focus more specifically on New Zealand-based brands in this blog post. Taking our scores from the beginning of January 2018 and recording until June 30 2018, Air NZ's Facebook following is a total of 1,715,075 with a growth of 144,541. On Twitter, the company have 691,301 followers and have increased this number by a huge 24,198 users. Not only this, the number of Facebook likes they have received is a whopping 302,746 and an even greater number of YouTube views, totalling 7,930,654. It is this writer's feeling that Air New Zealand are certainly deserving of their crown that sits them on top of the podium of best performing social media brand in NZ for this mid-year review. 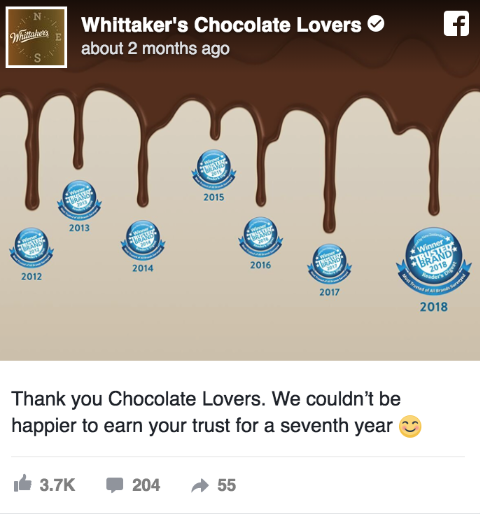 Another Kiwi brand who are performing brilliantly in social media this year are Whittaker's Chocolate Lovers, who have amassed a following of 781,228 on their Facebook channel, and have seen a growth on this platform of 13,096. They have also seen high statistics of Facebook likes (81,931 to be exact) and up to 16,764 comments being made during this time period. On Twitter, they have 25,710 followers and have grown by 498 more users. Their YouTube channel has been significantly low on views during this time, recording a total of 7,100 views. Spark has also been a strong contender lately, with a total Facebook following of 257,619, and a large number of Facebook posts having been posted during this time (469 in total), the company has seen their content being shared 9,262 times over this period of time. Their total number of Twitter followers remains quite strong at 64,469 with a growth of 906 users. Finally, their YouTube channel now hosts 56 videos, and their videos on this channel have amassed 1,810,402 views in total. Xero have also performed well, creating a total of 774 Facebook posts and they have grown on this channel by 14,192 followers. Their Twitter is a particular highlight and doing well at 814 tweets being sent out in total, with 7,043 Twitter favourites, and 2,877 retweets. Their YouTube now has a following of 17,376, keeping them as one of the strongest contenders of the platform in this report. 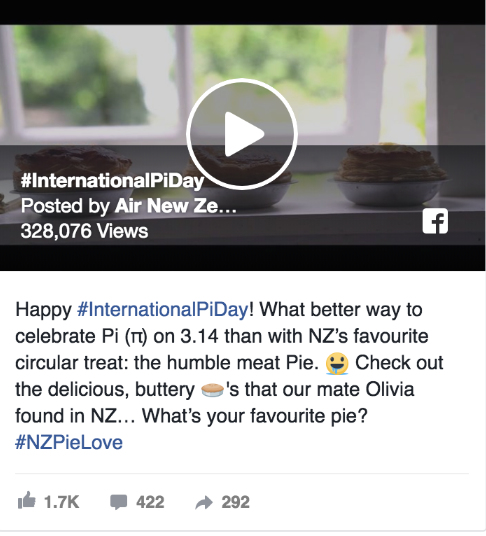 Air New Zealand hit a peak level of engagement on Facebook on March 30 with a Zavy index score of 453. With posts such as the one posted on March 30 (below) which ran for Easter and totalled 246,797 views, it's clear that their audience is enjoying their interactive content. Using a playful and simple video that encouraged viewers to "spot the bunny," the video attracted 982 likes, 1.2k comments, and 87 shares. 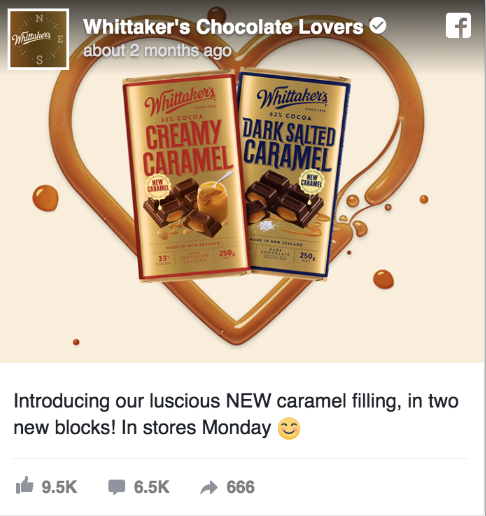 Jumping back to Whittaker's Chocolate Lovers, their highest performing post for Facebook was a behind the scenes launch for their new caramel chocolate blocks, published on June 8. This post garnered 13,141 views, 123 likes, 29 comments, and 5 shares. Our Zavy score for this post was 270. The second highest performing post according to our index was from May 25 and was a message of thanks from the company to their customers for voting them as one of Reader's Digest New Zealand Trusted Brands for the seventh year in a row. This post earned a Zavy score of 255, and picked up 3.7k likes, 204 comments, and 55 shares. This wouldn't be much of a brand review if we didn't talk about the companies who were creating meaningful marketing communications, right? And using one of our handy charts, we can see exactly how companies are doing this, as well as how these marcom messages are directed in terms of positive or negative topics. Air New Zealand had to address a scam message that was circulating asking users to participate in a short survey in order to supposedly win free airline tickets; this post collected 3.1k likes, 2.3k comments, and a total of 7.1k shares (although we can infer that the post was shared so much in order to prevent others from falling for the scam and submitting details.) 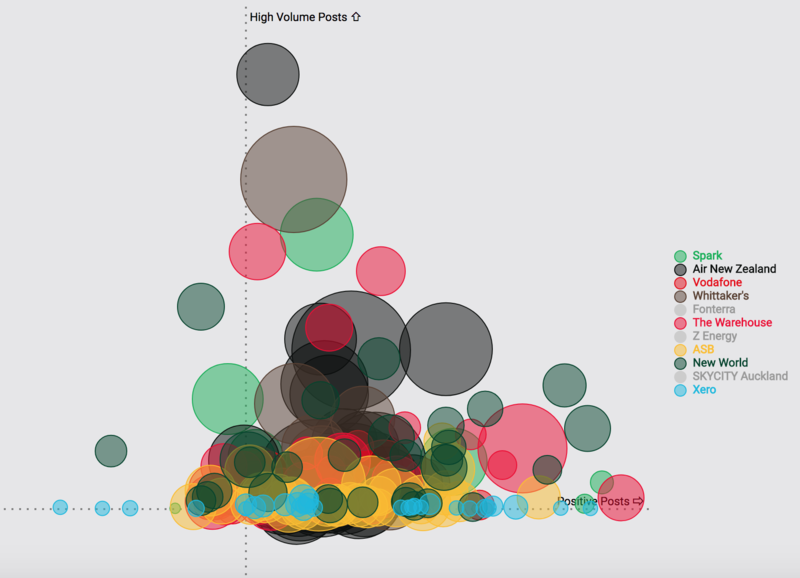 It was their highest volume post in this timeframe from January to the end of June. But this didn't knock them back for long. 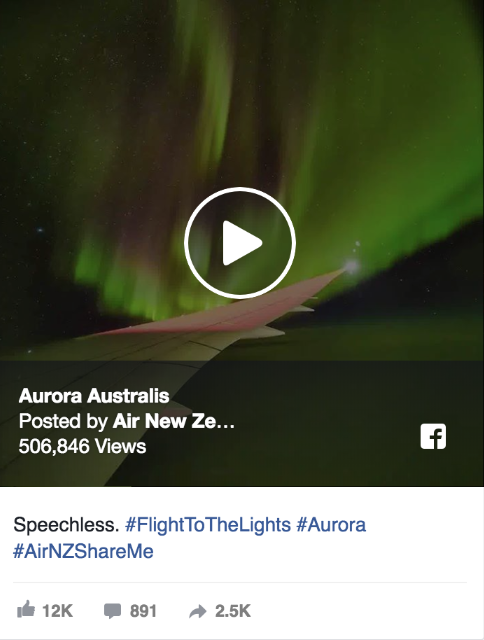 With their engaging hashtag #AirNZShareMe, the company shared a follower's beautiful photograph of the Aurora Australis (below), and it raked in a fortune of 12k likes, 891 comments, and 2.5k shares. Although it was posted earlier on this year, their In-Flight Safety Video (of which its ilk have gained huge popularity around the world for their creativity and sense of fun), this time set in Antarctica, garnered a whopping 738,175 views. Let's not forget about Whittaker's. Our favourite Kiwi chocolate company ramped up the excitement and delight of their audience when they announced they were introducing two brand new caramel-filled chocolate bars. And the stats certainly reinforce this, with 9.5k likes, 6.5k comments, and 666 shares - making this the company's highest volume post from January to the end of June. 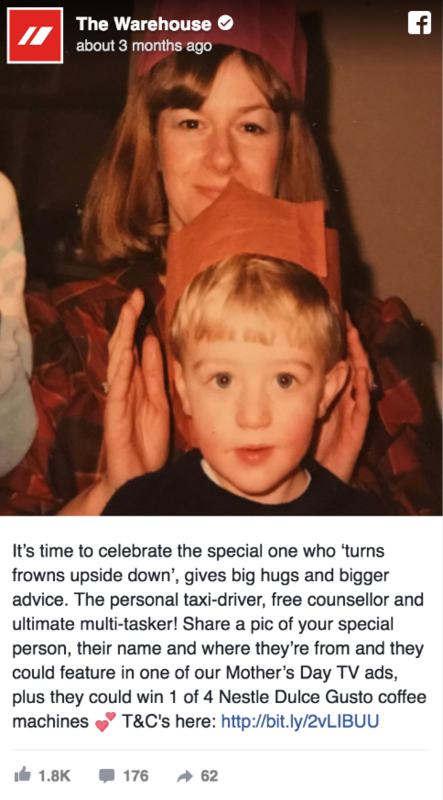 The Warehouse claimed the most positively received ad of this time period, with a focus on mothers and encouraging followers to comment with a photo of their mother )or 'special person' as they put it), effectively giving them a 'shout out' for being supportive, loving and turning frowns upside down. 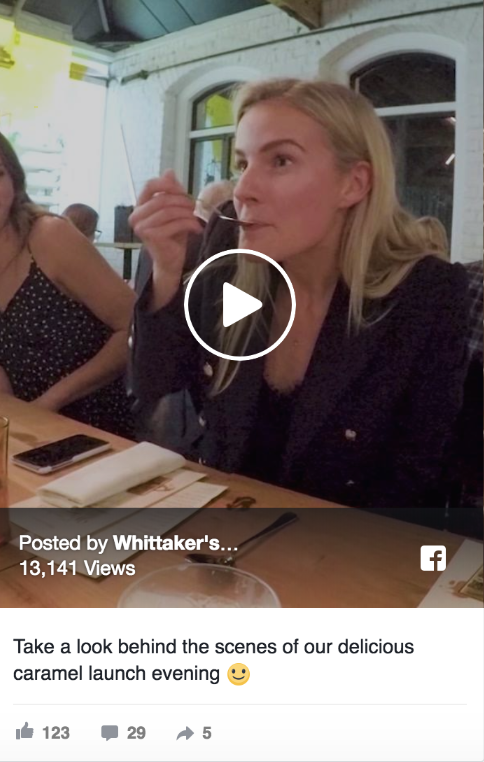 With 1.8k likes, 176 comments, and 62 shares (remember that the Warehouse has a significantly smaller following than Air New Zealand and Whittaker's do), it's a post that was well-received and has a positive message. 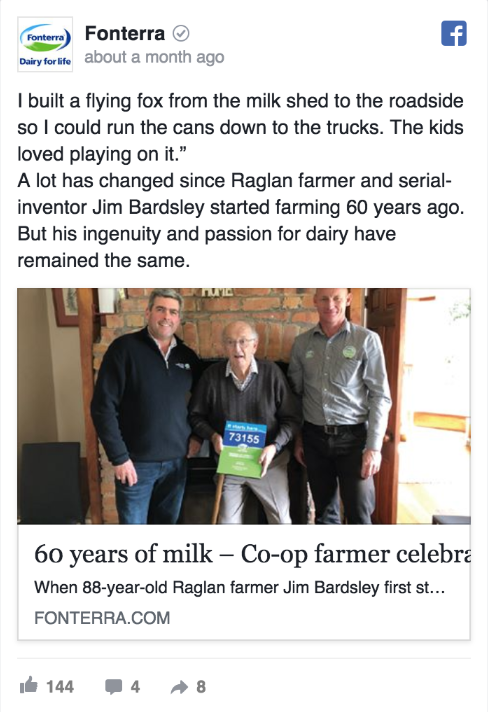 Similarly, Fonterra told a story of one of their farmers, enforcing his 'ingenuity and passion for dairy' that are at the core of the company's own values. This post saw 144 likes, 4 comments and 8 shares - so while not an overwhelming reaction from users, was clearly one of their better social posts. Lastly, we'll give mention to Spark and New World, both of whom created competitions for their followers to enter in to win; for Spark, it was free credit as part of an Easter campaign and for New World, it was to be in to win one of five $50 gift vouchers to cook up a lasagne at home (presumably with ingredients you can buy with said gift voucher). We've had a look at what New Zealand brands are owning the social media game so far this year, and we can say for sure that Air New Zealand are cleaning up. They have seen growth across all of their channels, particularly Facebook, and consistently are gaining very high scores according to our Zavy scoreboard system. Whittaker's have also been a strong contender, and have seen a high increase on Facebook engagement. Xero have been performing well on Twitter, and also continue to grow their following on Youtube. Keen to know how your brand compares to the best? See your Zavy score now!